How to use dampers for air return. What needs to be done to move a air handler from soffit to a stand on the floor. Lots of duct work. Line set lengthened or shortened. Electric reran. 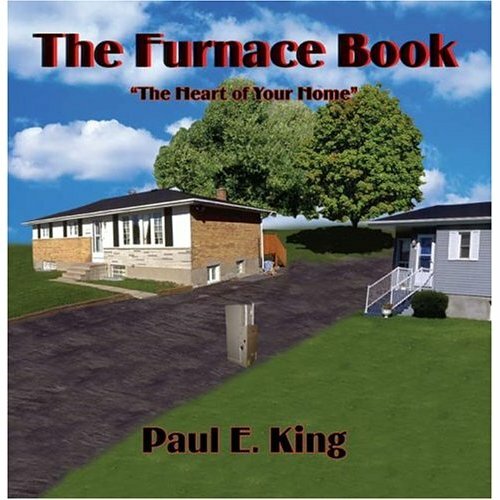 You can find a tutorial on the "Furnace Replacement in Pictures" page. How to duct large amount of combustion air to boiler room. In general you have to install a rectangular sleeve through the wall. On the outside mount a grill. Inside, install a hood with a screen at the bottom. You can see it on the "Ductwork in Attic Installation" page. I have it in Chapter #5 from my "Ductwork Installation Guide" dedicated to this issue. In a basement, you can use a downdraft furnace if you are using it for the underground system of ductwork. You can drain it into the floor drain or if you do not have one, use a condensate pump. Running a heating duct inside a cold return duct. You can find an example of it in Chapter #43 of my "Ductwork Installation Guide" book. Well, it is why I'm recommending buying my paid page where you can calculate offsets the simplest way possible! Room above garage, should I cover return vent in winter room is cold? There could be a lot of reasons why this room is cold and covering a return vent is not the best solution to address the problem. Do you have sloppy ductwork in your new home? Great, take some pictures and send them to me from the "Wall of Shame" page. I do not think this is a brightest idea. However, there is a special fan on the market designed just for that, expensive too... Try to balance your system first. There is a website where you can find the cost for your new furnace installation in your area, but do not forget to come back to this page. Why is the house heater making noise? If you want to reduce noise in your attic then yes. I do not think that your furnace is a culprit, but rather a humidifier or lack of it. How to install a toe kick heat register. You can get step-by-step tutorial in a Chapter #1 of the "Kitchen Remodeling Edition" book. How to quiet ductwork when walking on floor. How to size hvac condensate drain. How to install cold air return to furnace room. Yes, you can find it on this page and it is working already for three years on my site flawlessly! Yes, you can! Get more info on this page. Because you are not using a dryer exhaust booster! How much drop does a condensate drain need on a air conditioner? How to duct microwave exhaust to outside. How to get furnace ductwork to not bang and make noise. How to install commercial duct. How to install suspended furnace in attic. 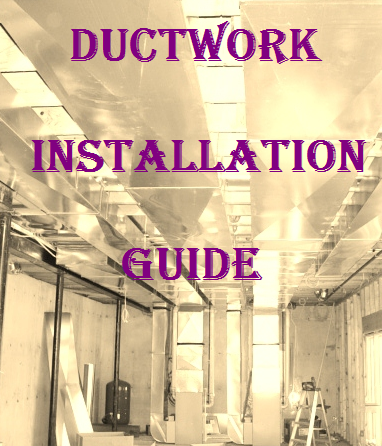 I do not have a tutorial for the attic, but its similar installation, which is described in the Chapter #62 from my "Ductwork Installation Guide". How to run an air conditioner trunk line. This actually is a very complicated question, but you may find answers in my "Ductwork Installation Guide". It is not really a simple question; get more info on this page. Yes, learn how to reduce water consumption on this page. How to cap or plug unneeded heating duct vents in ceiling. My wife and I both sleep best when it's cold (59F-63F). My home office (bedroom #2, I work from home) has multiple computers, and gets very warm. We will have an infant in the house, and the nursery (bedroom #3) will likely need to stay warmer than we have our bedroom. 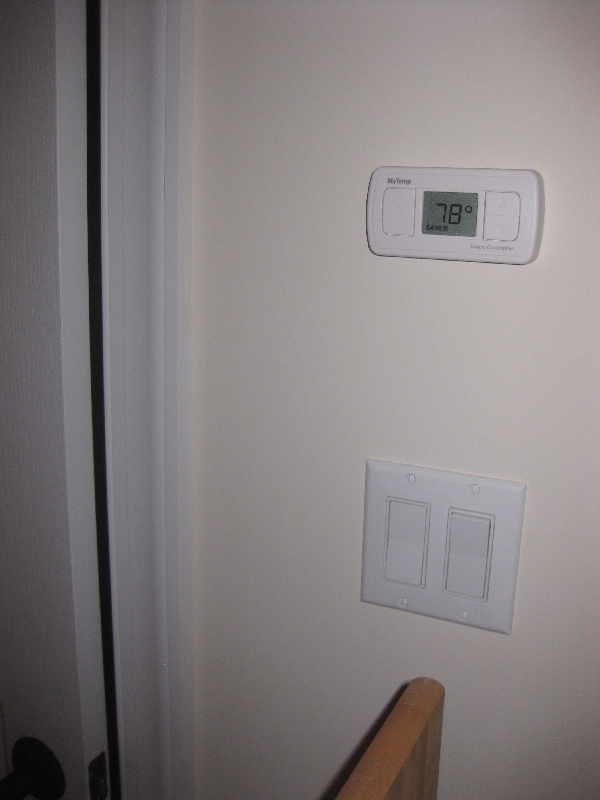 When guests are visiting (bedroom #4), it would be nice for them to choose their own temperature. When they're not visiting, it would be nice to keep the room less conditioned. Downstairs, the kitchen and laundry room are next to each other, two big sources of heat. The dining room and living room are on the other side of the house. Having two zones could ensure that the heating/cooling is parceled out as needed. In the basement, there will be a workout/rec room which would be nice to set cold when working out; the other half of the basement will be a play area for the kids, which would probably need to be warmer. Since it's part of a geothermal system, the 30% tax credit would help soften the cost of the zoning goodies. The biggest challenge, of course, is to manage the situation when a single zone calls. The zoning equipment I've been looking at is Honeywell's Envirazone system with multiple VisionPRO IAQ network stats. The great thing about the Envirazone system is that the time and vacation modes are globally set, and all units show the outdoor temperature. The VisionPRO interface is easy for guests or kids to use. However, the Envirazone W8835 control panel doesn't have stage timers. However, it is smart enough that if 25% or fewer of the zones are calling, it will at least make a stage 1 call with the "dehumidification/slow fan speed," signal additionally asserted. It also has a discharge temperature sensor to ensure equipment safety. Then there is Honeywell's TrueZONE HZ432 zone controller. I would wire a bunch of non-IAQ VisionPRO stats to this zone controller. The HZ432 does have stage timers to help control low zone count responses. However, I'd need to maintain all the stat clocks separately for this system, there would be no single point of setting vacation mode, and these VisionPRO thermostats would not display the outdoor temperature. My thinking for managing the minimum airflow requirements are to use a traditional bypass, plus set the damper minimum positions to be slightly open instead of closed. When a single zone calls, a little bit of additional air will flow into other zones, but most of the air will go into the calling zone(s) and the bypass. The non-calling zones might get a bit of extra conditioning that they haven't called for, but this would simply delay their eventual request for conditioning. The system would need to be balanced so that the damper minimum positions are opened enough to keep the discharge temperature requirements satisfied. I see such a system as a "fuzzy" zoning system, which is somewhat like a non-zoned system - when the system runs, all zones get some flow, but the majority of flow goes to the calling zone(s). If the ClimateMaster's stage 1 compressor output is moderate enough, the system would hopefully run long enough that multiple various calling zones would come on and off while the unit is running, directing its output to the various rooms requesting conditioning. Is my idea of using minimum damper settings to maintain sufficient airflow and achieve "fuzzy" zoning workable? I know Carrier's Infinity zoning with its temperature goal logic and true modulated damping is much more suited to this type of task. Can I use Infinity zoning hardware with ClimateMaster equipment? Something that just occurred to me as I type this is that Carrier also rebadged ClimateMaster 27 geothermal heat pumps. Would such a Carrier geothermal system allow me to go with the Infinity zoning system? (I'd call a Carrier dealer to look into this, but it's a Saturday right now.) Or would the cost of an 8-zone Infinity setup be through the roof? I wish I haven't been thinking so much about how nice such a "highly zoned" house would be, as now I really want to find a way to make it happen.. Since most bedrooms need 100-200 CFM of air, pretty hard to have one of them be a zone. Even on low, those unloading scrolls are 75-80% of full capacity so you'd be trying to put a mountain of air into a molehill of a duct. So even on low, your 4 ton geo is probably moving 1200 CFM. What do you do with the other 1100 if a standard bedroom calls? Dump that back into the return and you'll be off on high head or a freeze stat in no time. The Comfort System Z-2000 (formerly the Z-1600) is the latest generation of commercial zone control systems that allows a single HVAC unit to have up to 20 individual zones. Each zone is controlled by its own space thermostat and a modulating or two-position zone damper. When a majority of zones are calling for cooling, the system operates in the cooling mode. The Z-2000 controls up to two stages of cooling to maintain a cooling discharge air setpoint. If a majority of zones are calling for heating, the system changes from the cooling mode to the heating mode. The Z-2000 then controls up to two stages of heating to maintain a heating discharge air setpoint. When the number of heating and cooling requests are equal, the system satisfies the cooling requests first. Comfort System zone dampers are available in round and rectangular, as well as VAV diffusers. All three types are controlled by a P+I modulating Z-2000-T thermostat. Each zone thermostat wires to its own zone damper which wires back to the Z-2000 panel. The zone damper is driven by a floating point actuator and has a duct temperature sensor. The thermostat controls the zone damper to maintain room temperature in both cooling and heating modes. When the zone temperature falls below the heating setpoint, the zone damper sends a signal to the Z-2000 control panel requesting heat. When the zone temperature rises above the cooling setpoint, the zone damper sends a signal to the Z-2000 panel requesting cooling. These signals are used to determine the mode (heating or cooling) of the HVAC unit as described above. The zone damper heating output can also be used to control auxiliary baseboard, duct, or ceiling radiation heat. A bypass damper is installed between the supply and return air duct to maintain the proper system static pressure. Bypass dampers are available in both electronic and barometric type. Electronic bypass dampers are recommended for systems with cooling capacities exceeding 7.5 tons. Barometric bypass dampers are recommended for systems with cooling capacities of 7.5 tons and lower. Fujitsu's Halcyon HFI system provides home and business owners just the right amount of comfort needed by installing from 2 to 8 indoor units connected to one outdoor unit. Indoor units vary by size and style and each creates its own "zone" of comfort, allowing you to heat or cool individual rooms, hallways and open spaces.Another fantastic product is Home Comfort Zones and it's easier to install. It will monitor the system static pressure and open the dampers as needed to prevent problems. It was designed with room-by-room zoning from the start. The example in the manual uses 14 rooms. For ease of configuration, rooms can be optionally grouped into zones as desired. Your kid's bedroom and bathroom could be grouped together as a zone. An adjacent family room and dining room could be grouped together as a zone. This grouping is performed graphically on the home panel, and can be changed at any time. The remote sensors are simply that - sensors. All of the intelligence (and a considerable amount of it) lies in the home panel. This design makes it cost-effective for high zone counts - you are paying for the sophisticated electronics to exist in one place, rather than in each room as with conventional thermostats. 3H/2C heat pumps (such as my Tranquility 27) are supported. The system can be as simple or as customizable as you want (basic, globally programmable, zone-by-zone programmable). Just as with Carrier's Infinity system, the whole house becomes a dump zone. To provide the greatest flexibility to the control algorithm, dump parameters can be tweaked in an intuitive way. You can raise the allowable temperature swing in a seldom-used room (laundry room, pantry, unused guest bedroom) to maximize their use as a dump zone. Or you can tighten the range for rooms you spend more time in. You can mark a room as a "quiet room" (such as a nursery, or your living room) so that the system will limit the airflow to the room to keep the noise low, whether the room is receiving air for its own needs, or being used as a dump zone as another zone calls. System operation can be conditional on outside temperature if desired. You can set it not to run the heat if the outside temperature falls under a certain temperature, or vice versa, to take advantage of the fact that outside conditions will soon pull the house back in the conditioned direction. The unit can actively use air circulation in the house to manage and moderate zone temperatures (such as between the second floor and basement). The amount of air circulation used can be set to high, medium, low and none. The maximum pressure (essentially how aggressively dump zones are opened) can also be controlled to trade off noise/comfort for energy efficiency. Air handler plenum pressure/temperature can be displayed, including a history of the values over the last few cycles. Sophisticated controls for a ventilator and economizer are provided. A vacation mode is supported. A graph of any room's history can be displayed. You can see a graph of actual interior/exterior temperatures versus target temperature over time, overlaid with system activation, duty cycle % of the unit, and even an estimated dollar cost of system operation. The unit can make estimated cost predictions, where you can propose a change to the settings and it will estimate how much the annual operating cost will increase or decrease because of this change. It factors average climate information of your specific locale into the prediction. Time to install the room-by-room zoning! They started by strategically cutting the insulation wrap away from the supply trunks so they could access the flex duct branches. To control the pneumatic dampers, they used a vacuum line that wasn't hard and brittle, but wasn't soft and collapsible either. These are the pneumatic dampers. They have separate dampers for each diameter of flex duct. They run the vacuum line by running this massive suction fan into the temporary hookup on the supply trunk at the air handler. They then attach a special parachute to the vacuum lines, insert the parachute at the far end of the supply truck, and the parachute gets sucked all the way up. They start working their way up the trunk towards the unit, running the needed vacuum lines as they go. Some vacuum lines are run! This is the plenum monitor that provides pressure and temperature information to the zoning controller. This is the damper controller that gets mounted onto the main supply trunk. This little gizmo is what connects to all the different vacuum lines to inflate or deflate the dampers. Now that all the vacuum lines are run, the temporary round collar is removed, and the cutout is widened for the damper controller to mount up. Time to hook up 27 different vacuum lines to the damper controller! There are 18 different rooms, but some rooms have two hits. Here's a look up into the supply trunk, where you can see one of the branches coming off. The damper controller is mounted. At this point, they had it operational and I was able to see the motorized vacuum multiplexer moving up and down to connect the pump to different lines. Here's a better picture of the stepper motor moving up and down to access the different vacuum ports. This is the actual vacuum pump that does the inflating and deflating. It's a standalone module that mounts on the basement wall instead of the trunk, because of the weight and because the pump might introduce audible vibrations into the trunk. Here is the wall-mounted control panel. It doesn't actually control the temperature of any space; it's simply the interface into the system. This is the main screen, showing the general house temperature. If you touch "Energy History," it shows you the list of rooms and their current temperatures. From that screen, you can touch any room name and it will show you the actual room temperature history, overlaid on the upper/lower target temperature range. This graph is for my downstairs family room. This graph is for my attic. (We put a single supply/return in the attic.) I set the room to a very wide range so it doesn't see conditioning, but I still have the ability to monitor it, and the option to temper it. You can also see a house-wide overview graph of actual and target temperatures, along with runtime and cost information for the previous 24 hour period. Here you can see I spent an estimated $2.83 for cooling today. From the main screen, if you tap anywhere in the current temperature section, it will provide an overview of what it's doing and why. Here you can see that it's cooling some living space rooms, but skipping some storage rooms (like the pantry) because the system won't work on those until the living spaces are satisfied first. This is the screen where you program the temperature behavior of a zone. A "zone" is simply defined as a combination of rooms. Here, the BEDS zone is the three upstairs bedrooms and two upstairs bathrooms. The walk-in master closet is not included in the zone; I have it included in the general lower-priority zone instead. Each room has a wireless wall control like this. The system maintains two programs in parallel - a normal program, and a vacation program. You can switch individual rooms from normal mode to a "saver" mode that uses the vacation program when the room's not in use. This picture is of the wall control in my wife's sewing room, which is a bonus room over the garage. If she wants to use the room, she walks in and taps the left button to go from saver mode to normal mode, and the system will bring its capacity to bear on that room to bring it back to the normal program temperature range. The zoning system has been really useful in learning about my house, and what I can do to improve it. The house has a conditioned attic with a spray-foamed roof deck, which means that the attic presents a heat load down through the ceiling to the second floor. The front of the house sees direct sun all morning, and the back of the house sees direct sun all afternoon. Here you can see the response for the office, which is on the second floor, front side. You can see more cooling activity in the morning than in the afternoon, a clear reflection of the solar load through the windows. There are two ways you can see this activity - the temperature line fluctuates more (rises quicker, cools more often), and the "Cool" dotted line above the graph that shows the cooling calls for this specific room are more frequent and filled in. Here you can see the laundry room response. The laundry room is on the backside of the house. It has a builder-grade entry door with a window that is not very well insulated. Here you can see lots of heat coming in the afternoon, when the sun swings around to the back of the house. Here's the attic response. You can see that the attic reaches its temperature peak around 8pm, and then starts to drop. This coincides almost perfectly to the heat gain you can see in the master bedroom response. Since the roof deck is insulated, where is the heat from the attic going? The only place for it to go is the living space below. The only thing between the attic and the second floor is a half inch of sheetrock - there is no insulation whatsoever between those spaces. This is a graph showing the house-wide temperatures compared to the outside temperature. This includes the attic and basement too. It didn't get really hot outside, so it makes sense that the house activity reflects solar load rather than outside temperature. Here is the guest bedroom, where two people and a smaller dog are currently staying as our guests. Again, you can see the same trend - increasing solar load up to 8pm (even after the sun has gone down), then a gradual reduction throughout the night. Here's the nursery, which is Nolan's room. (You can see that we have his room set to the same temperature all the time.) This room doesn't show any heat load overnight either. Then it finally occurred to me - ceiling fans! We're running ceiling fans in the master and guest bedrooms, but not in the office or nursery. The ceiling fans are circulating the air in the room against that half inch of sheetrock, cooling it and sucking all the heat away from the attic. I have had a MyTemp system installed for about two years now. It does do what you are wanting it to do for the most part. I am like you in that I need it pretty cool to sleep properly. That said, a little user experience with the system that I have acquired over the past two years. First is the number of vents in your bedroom. My bedroom is about 12x17 and only has one and I wish it had more. Be darn sure you can physically blow in enough cold air to cool it down in the summer. I don't know how to figure it out, but the more the merrier. Second is tweaking the system to do what you want. This has taken me two years to figure out. Lets say under normal circumstances you want to keep the bedroom at 63 and every other room at 70. It won't kick the AC on until it has enough room on a cycle to balance the air pressure. So your bedroom will stay warm. The screen will say "can't find enough rooms to condition." You need to be sure to set your bedrooms to "normal cool or "extra cool" and every other room in the house to "in range." That will pretty much force the system to find room that are in range to dump cool air in anyway and force it to put cold air in the bedroom. I just figured it out last month. So far it has been working with my one messily vent, but so far no 100 degree days. That said, the system is pretty expensive, but also pretty darn neat. I have a 5000sq ft home and I get by pretty cheap in the winter on gas. I only push the heat into the rooms I actually use on a normal basis. Then in summer, all the power from the ac goes upstairs and just through normal gravity goes down. I keep the rooms I spend time in spec. The others, eh, They are used to lance the air pressure more than anything. I know I save money over a conventional set up, but not enough to ever pencil it out. But if I can sleep vs. not sleep...pretty easy to pencil that out. Funny story about it, I have a home theatre room with three vents...when I go in there and take it out of saver, it can react so quickly, that it over conditions that room.